Along with all the amazing wax melting cubes, the Milk & Cookie Candle Company also sent us six tealights in various different scents to try out. Cappuccino – A really strong coffee scent with a great hit of vanilla, this one really perked us up. Cotton Candy – This is going to sound so weird, but this one actually smelled pink. Please don’t think us any crazier than we already are, if you try it out you’ll know what we mean. This was a lovely sweet girly scent. Fudge Brownie – A chocolate fudge brownie scented candle, seriously who would like that?! Raspberry Lemonade – This smelled real raspberries (not like the fake raspberry syrup scent) with a big hint of really fresh lemons. It made us want some cocktails. Strawberry Shortcake – This was our favourite! It smelled like real strawberries with a buttery vanilla cake, so freakin good! As if they don’t all sound amazing, the Milk and Cookie Candle Company have oh only about a million more scents to try out, so you’re easily going to find one (or a million) that you’ll love. We love these fabulous Eco-friendly candle making people and feel blessed to be working with them. When I first joined twitter (with my own personal twitter account) I came across Busy Bee Candles and they were one of the first companies I followed in my first few months, I soon unfollowed. They seemed to attach themselves onto the #BBC hashtag, of course it is their initials but I found it a bit too “big corporation” and although the twitter account seemed nice enough it riled me. Not the greatest start I’ll admit. Only recently did I think about them again and decided it was time to make an order. I chose not to order from the site as I didn’t want a lot and the postage was a bit excessive for a first small try. So I ordered some items of theirs through ebay instead. Just like Sam mentioned I’ve found myself going more into buying tarts as I’m constantly changing my mind about the scents I have and this way I can change quicker without having candles pots everywhere! I ordered two wax tarts, Christmas Cookie and Black Cherry. Two of my fave scents, Christmas Cookie is one of my favourite Christmas scents and I absolutely ADORE purple so I’ll always give purple scents a go. Plus who doesn’t like a fruity scent? As you can see the Christmas Cookie was broken, no major issue apart from if this had been for a gift and of course for taking the photo! They were bubble wrapped really well and also put in a jiffy bag too so were perfectly secure. There is a quote from Theo Paphitis (Dragon’s Den) on the website saying “Busy Bee Candles better then Yankee” which as a major Yankee lover was quite the recommendation. I went with Christmas Cookie first as I was browsing online for Christmas gifts and popped it in my burner. The scent came out pretty strong for the first 30 minutes or so and then I thought I’d just got used to it as didn’t smell it any more. Then my husband came home and he said “I thought you got candles today?” and I quickly said “Yeah, there’s one on now!” and then he simply said “Can’t smell it!” Oh! He is always moaning at my candles and this one avoided the moans but it seemed to fade off pretty quickly and I did give it as long a burn as I would a Yankee but it didn’t seem strong enough. The Black Cherry one had to be better. I waited until the next day and popped Black Cherry in, this lasted longer but still not as long as others. It wasn’t as strong smelling as I had expected either and this was why I had picked it. Overall I wasn’t impressed by my Busy Bee Candles purchases, maybe I’d selected the wrong scents as I have seen a lot of people mentioning loving the fruit cake scent which I’m pretty sure I’d love. I might go back and have another shop but it’s not on my priorities for now which is a shame as I’ve seen they are very popular. I can’t help but think they are popular because Yankee don’t always get their scents over here. Sometimes it’s months before we see some scents that have been in the US for ages. Has anyone tried them before and what scents should I try if I want to do another order? 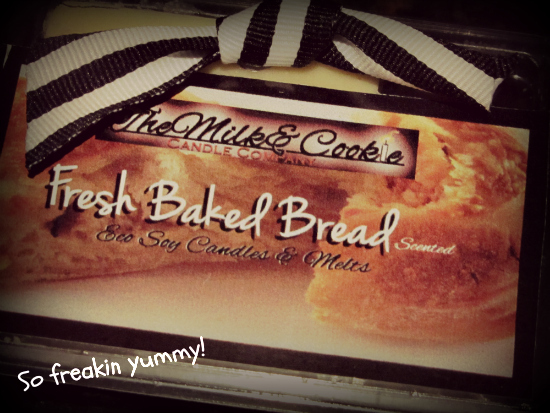 The Milk & Cookie Candle Company make some seriously yummy candles and are dedicated to being Eco-friendly. Their candles are highly scented; they hand blend their fragrances and use the maximum amount of premium essential and fragrance oils possible in candle making. They are creatively inspired by and love making super scrumptious flavors like Caramel Apple, Key Lime Pie, Cotton Candy and even Maple Bacon! 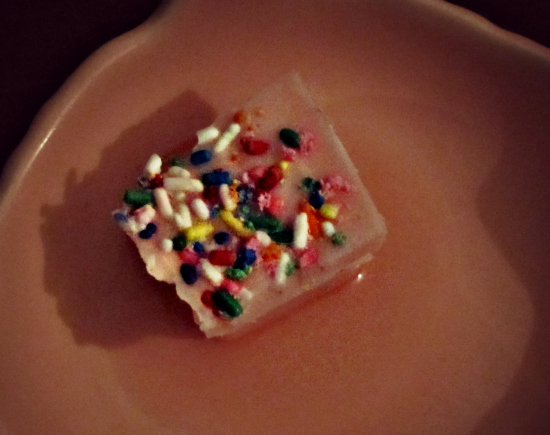 First up lots of delicious, so surprised I haven’t eaten them, eco soy wax melting cubes. Pumpkin Latte – If you’re loving your Pumpkin Spice Lattes from Starbucks then you’ll love love LOVE this one. 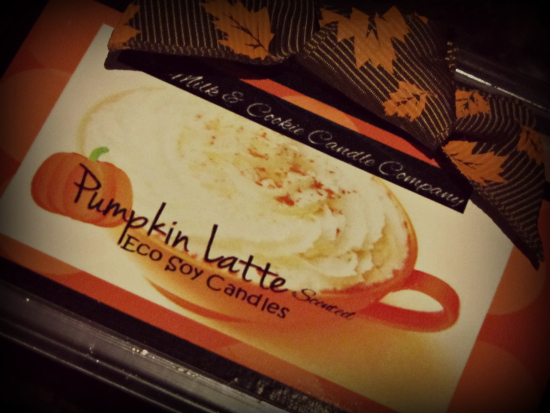 When you first smell it you get a sort of pumpkin pie scent but then the coffee hits you! It’s yum. Donut Shop – Smells exactly like it’s name, and even has sprinkles on top! Makes me want to go out and buy ALL the donuts, like everywhere. 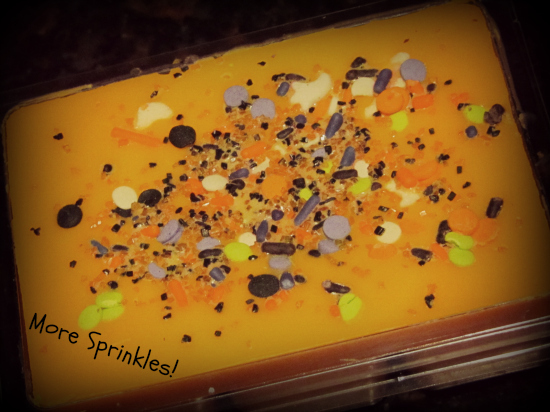 Trick or Treat – This is a combination of tart apples, caramel apple and candy corn. Designed for Fall/Halloween but I’d have it going all year long. It’s sweet but you can really get a hit of the fresh apple scent. Fresh Baked Bread – You HAVE to get this one, it’s insane! Smells like crusty white bread straight out of the oven. It’s not sweet which I love. Will most definitely be buying this scent again when my tarts run out. 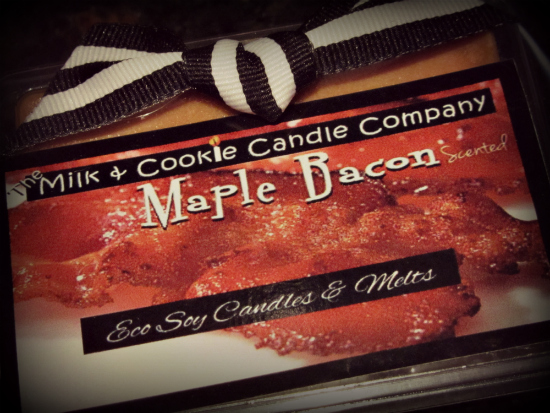 Maple Bacon – Don’t be scared, it’s really good! Instead of it smelling pork-y (lol) it’s like a maple syrup smokey woody sort of scent, it’s really awesome, I’m amazed. Over all I’m so impressed with the Milk and Cookie Candle Company; Trisha (the real brains behind the whole thing) is such a sweetheart and a pleasure to work with. I love that they’re Eco friendly, even using recycled paper and packaging when sending out their products. The melts give of such a long lasting scent and the packaging is just too cute, with the funky labels and the pretty hand tied bows, and how can you not love anything with sprinkles! With a lot of unique scents (and lots of new ones for Christmas) I can’t wait to try more wonderful creations from the Milk and Cookie Candle Company. Anybody who knows me knows that I’m such a girly girl geek, so it was like this candle was made for me; it’s pink, it’s fruit scented, it’s geektastic and it’s a princess candle! Amazing right?! Seriously you guys have to check out Bubble and Geek. It’s got candles, wax melts, lip balms, soaps and so much more. Check out Bubble and Geek on Facebook, HERE and on Twitter, HERE, for news, updates and offers. 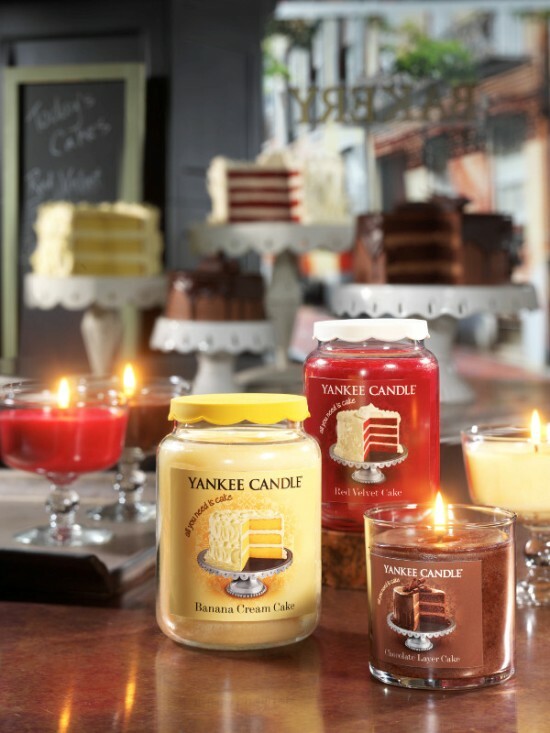 Yankee Candle EU has launched a collection of three decadent dessert themed fragrances, Eat Dessert First. They are sure to satisfy any sweet tooth. Layers of rich fudgey chocolate, luscious slices of banana cream and moist creamy frosting can now be enjoyed whenever you desire, thanks to these luscious new candles. This limited edition range was created with pure, natural fragrance extracts to provide true-to-life scents of cocoa, brown sugar and mousse frosting, creating a home fragrance aroma full of delicious freshly baked treats. They allow you to treat yourself without the added calories or guilt and they last much longer than any slice of cake. Banana Cream Cake: A dessert lover’s dream…an absolutely luscious slice of heaven made from fresh, ripe bananas blended with swirls of whipped vanilla and sugar. Chocolate Layer Cake: Layers of rich, fudgey cake laden with cocoa and covered with a light chocolate mousse frosting…it’s simply to die for! Red Velvet Cake: A most decadent creation of creamy frosting atop moist cake and a touch of brown sugar. So very sweet! The Eat Dessert First range is available for a limited time only in the large Housewarmer® Jars for £22.75, Regular Tumblers for £11.99 and filled glass dessert dish candles for £12.99. They have been designed with on trend vintage scalloped lids and mouth watering labels reminiscent of each of the fragrances, perfect for both home fragrance and decoration. Great gifts for me, or a loved one for Christmas.